Do you have a difficult time finding a quiet moment or feeling un-pressured by the course of your daily routines? How often do we clutter up our space with the noise of the world or succumb to the overall busyness and fill with anxiety and let the pressure overtake us? Then what happens when something stops – and your world is suddenly quiet? Are you at a loss not knowing how to handle it? I certainly hope not. As frustrated as we can get when the internet goes down, or you lose cell service, a project is stalled or something else may ‘gum up the works” … maybe it’s a hint to stop and take a deep breath and look around us for those moments we’ll never experience again. When did you last take the opportunity to watch the sun rise? The sun set or the stars flicker to life in the nighttime sky? See a flower turn to the sun? Watch the clouds roll across the sky? Enjoy a good book or a conversation with a good friend? Sewing, knitting, crafting or another favorite hobby? There are a multitude of ways to reconnect — hear, feel, experience calm and peace more deeply. Find yours and make it a part of your daily routine. Let the calm invade your day fully. You’ll be smiling more and the influence will ripple out to other areas of your life and may also impact others you come in contact with. 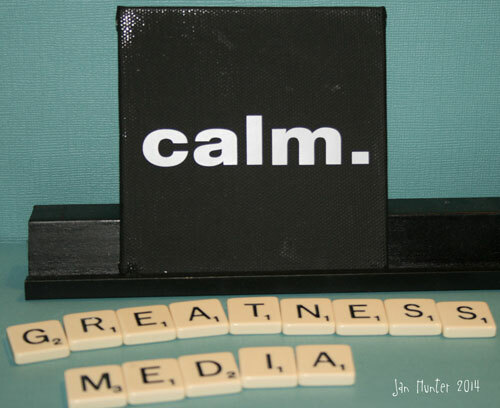 Find the calm in you today….